Advent is perhaps the most favorite time of year for me. Everything about it fills my heart with the bits that seem lacking up to this point. It is good to end the year with joy. I’ve wondered at the providence of how that falls in our calendar, because although we celebrate the birth of our Savior in December, historically, it has been taught that He made his advent upon our world, Emmanuel….God with us…at a different season. 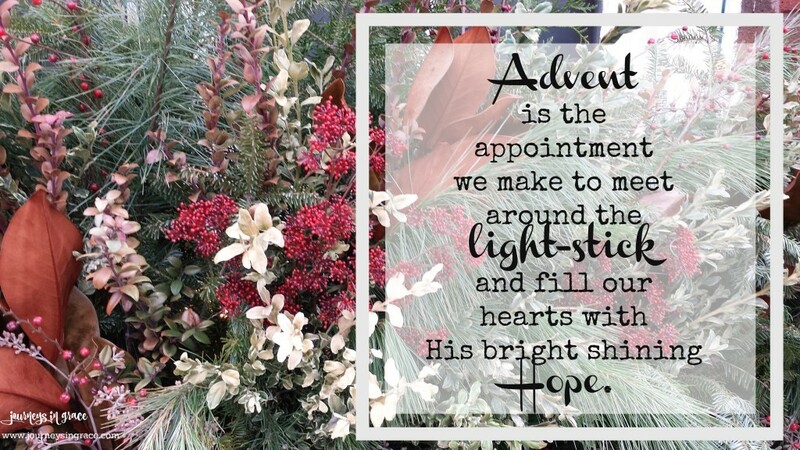 No matter what the season, or the time, or the place, or the moment…His advent upon our days is always timely. Advent seems to be the tradition that brings my heart back to the solemn and silent reverie of wonder and adoration His coming should inspire. It is a time of purposed reflection and considerable generosity; a time when souls are searching for a way to reveal goodness in the stark dark that can cloud our busy days. As my children grew, we would gather around the table, my favorite place to sit, or settle into our living room with candles bright and twinkling and read The Story about The Savior. We would take time to shut off everything else except the sound of one lone voice recalling the hope told through the words of the prophets and disciples and the stories of many who walk with wonder during this time of preparing. Whether we read books they loved, sang songs that reminded us of the season, or made crafts to celebrate… the entire time was ae gathering together time, a time spent around His Word in the quiet contemplation of hope and expectation. We longed for and searched hard for the One who came to save… and we were never disappointed in our journey. Because the journey builds the memories that house a tradition of hope in our hearts. In those living and letting life flow moments that we chose to seek Him, To look for Emmanuel… the God who chose us and paid a precious price so that we could willingly choose Him. We make a conscious choice to set aside the world for 4 weeks to wait and prepare. Because the tradition of building hope changes us. It feeds our souls and enriches our days so that we live out this grace thing that He has led us to. Advent is an invitation to come. The most hospitable of times, the most gracious of seasons, the most generous of days is covered with the widest and most hope-filled invitation for all. And as I sat down yesterday to write words to you, I was repeatedly interrupted with things that had to be finished or attended to. I worried that my tardiness may reveal that I didn’t set aside the time to invite you close, to walk with you on this journey. But it was the waiting that I needed. It was the interruptions that reminded me of a truth about HOPE. Waiting can do that for us, remind us of what we have been pursuing. I was reminded how easy it is to let the flame of expectant hope become dim. 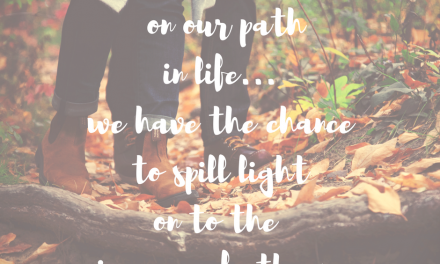 When life blows by and steals the blessing that hope plants, we sometimes miss the beauty of this journey we take in His grace. 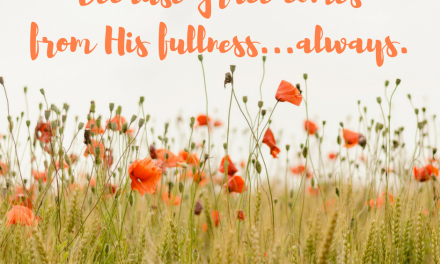 And so, I ask forgiveness for my tardiness in getting the #GraceMoments Link up posted this week. But if you’ll join me in His Word, you will see what I found as I chose to wait with Him. We need to recall hope. I found these words in Lamentations yesterday. I read only one line and paused. Jeremiah wrote these words, a book of lament and woe at the destruction of Israel. I never realized the significance of this book till I started reading a little deeper after that first line caught my attention. There are 5 chapters in this small Old Testament offering. All but 1, chapter 3, have 22 verses. Chapter 3 has 66. The 1st 4 chapters of Lamentations are acrostically arranged to line up with the 22 letters of the Hebrew Alphabet. Chapter 3, however, is the chapter directs us to remember how His mercy and our hope bound together. 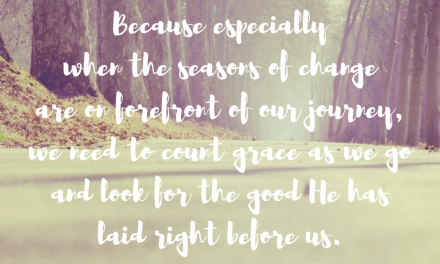 And I couldn’t help but see how that ties into our journey to seek Him during the season of Advent. Isn’t amazing how God in His sovereign grace provides all these clues for us to find Him? 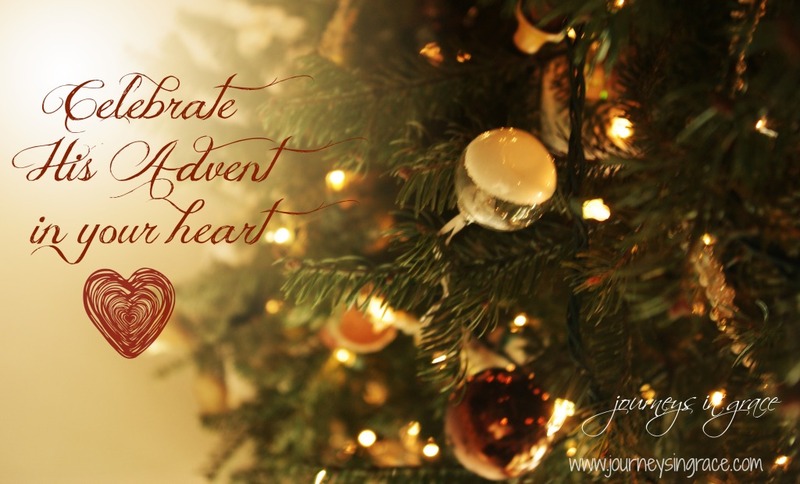 Advent is an invitation to seek hope and mercy and peace and love. The mystery of the manger contains all of that bundled in the magnificent promise that we are not without hope in this world. We are not without His mercy. We are not without peace. We are not without love. Look at what Jeremiah recalls to build hope in his thoughts. Hope is pregnant with expectation. It is a commodity we can gather. It is a currency of grace during our journey. It is a promise of His grace that builds our faith as we wait for His arrival in our circumstances. And in His mercy, He has given us an anchor of hope to hold onto. A reminder. A light. A promise. Advent reminds us to take time to look for them: Hope, Love, Mercy, Grace, and Peace. 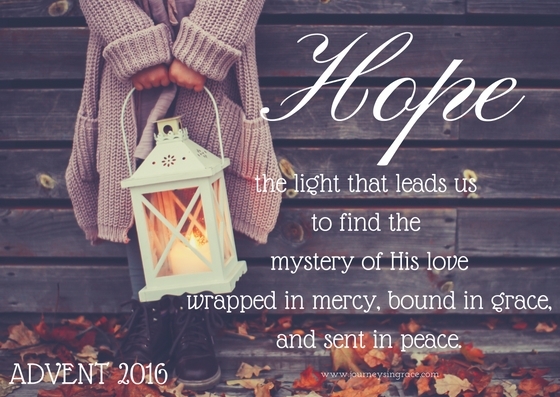 Hope is the light that leads us to find the mystery of His LOVE, wrapped in MERCY, bound in GRACE, and sent in PEACE. An Advent gift for you from my heart. Blessings!